Insulation is rated by its R-value, which measures its thermal resistance or how well it holds back heat. The higher the R-value, the better. 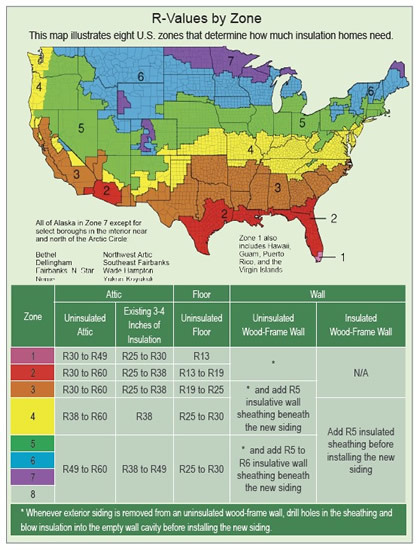 Bare walls are about R-1, while attic insulation in Homes built pre-1988 had an R19 rating. R-value is proportional to the insulation's thickness, but it also depends on the type of material and its density. The more air pockets an insulating product has, the higher the R-value. For example, R-38 attic insulation may be 12 inches of fiberglass batts, 10 inches of rock wool loose-fill or seven inches of expanding foam.